Wendy utilizes spiritual guidance as well as training in Reiki, Pranic Healing and Qi Gong. She founded Lotus Path Reiki and teaches Reiki classes. Appointments for distance healing for yourself or another individual can be arranged at a mutually convenient time. The person or pet needing healing, does not need to be present. They can be located anywhere in the world. Please contact Wendy to discuss and set the time for the actual healing session. Phone contact must be made prior to the session and again at the end of the session. I will write up a summary of what was accomplished during the session for you. Energy Therapy is becoming one of the most popular healing modalities in the world today due to its simplicity, safety and effectiveness. Energy Healing Therapy utilizes the universal energies from the earth and sky as well as spiritually attuned connections to Divine Source. Energy Therapy also includes the vibrational energies from the elements of plants, minerals, wind, water and fire. It can be sent to heal someone or conditions anywhere in the world. Energy therapy produces amazing results very quickly and easily without drugs or any manipulation of the body. It releases pain and trauma quickly while mobilizing the body's own healing system immediately. Properly applied Energy therapy can transform individual lives. It is also extremely effective performed as "Distance Healing" to create transformation and positive shifts to our world, to our loved ones and any situation in need of prayer. It gently allows change to transform on it's own in harmony with Divine love and Divine law. Healing energy can be sent to anyone over long distances, even across the globe. Energy healing can be used to heal and harmonize group environments, and can be sent to heal global issues and our earth itself. The history of energy healing goes back many thousands of years and has been practiced by cultures all over the world. The West has primarily been aquainted with forms of energy healing through the Eastern traditions of Tai Chi, Qi Gong, the martial arts and so on. Hindu and Buddhist texts refer to energy healing as part of their traditions. In the northern Buddhist traditions, energy healing is accepted as part of spiritual healing. 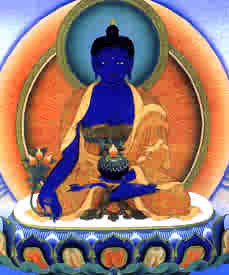 The Medicine Buddha holds a bowl of healing nectar in one hand, a medicinal plant in the other hand and sends forth a healing beam of blue light to the person in need of healing. What many in the West have not realized, is that Jesus used energy healing in his mission here on Earth as well. Energy Healing is very effective, safe and versatile. It can used at any time to instantly relieve pain and to trigger the body's own healing processes into action. "My ribs were fractured from a fall, but I went on with my normal activities. I was having a hard time breathing. When Wendy noticed my pain and discomfort, she asked me to sit down and then used Pranic Healing and Reiki energy healing on me. Within two weeks I felt completely better. The pain is gone; I can breathe normally and it no longer hurts!" "Pranic Healing is a simple yet powerful and effective no-touch energy healing. It is based on the fundamental principle that the body is a "self-repairing" living entity that possesses the innate ability to heal itself. Pranic Healing works on the principle that the healing process is accelerated by increasing the life force or vital energy on the affected part of the physical body. Pranic Healing influences this natural life force to bring about a healthier physical body. Pranic Healing is applied on the bio-electromagnetic field known as the aura, which contains the mold and blueprint of the physical body. This bioplasmic body absorbs life energy and distributes it to the organs and glands. Diseases first appear as energetic disruptions in the energy field before manifesting as ailments in the physical body. Scientific evidence provides tangible proof of the existence of the energy body and its relation to the health and well-being of the physical body. This has been termed as the "bioplasmic body" from the word "bio" meaning life, and "plasma", the forth state of matter after solids, liquids and gases. Scientific experiments conducted by the eminent Russian scientist, Semyon Kirlian, using ultrasensitive photographic process showed a colorful, radiant energy field surrounding the physical bodies of humans, animals and plants. This energy field, or aura, interpenetrates the visible physical body, extending about 4 to 5 inches from the skin's surface. Experiments in Kirlian photography have also revealed that diseased energies appear first in the energy body before manifesting as a physical ailment. Pranic Healing has been used successfully with ailments ranging from asthma, arthritis, cancer to addictions, depression and phobias. It is an effective no-touch, painless, healing art that acts as a powerful catalyst to spark the body's inborn ability to repair itself." Wendy utilizes Pranic healing, Reiki and Spiritual healing in her energy healing practice. Wendy Teaches Lotus Path Reiki. Wendy Bodin offers Energy Therapy sessions that focus on what is needed most, now. Focused energy healing is very effective to promote faster healing of trauma and acute injuries as well as stress release. Wendy will find and release the blockages to healing and give you insight to help you really heal. Focused Energy Therapy gently facilitates emotional as well as physical healing and promotes relaxation or gives more energy. This method of energy Therapy is very focused and effective for gaining quick pain and symptom relief for any kind of trauma or injury. We will deep cleanse the aura, chakras, troubled areas and restore harmony and promotes quick healing. Results can be amazing. Individual sessions are available by appointment in Albuquerque or by distance healing appointment at a time convenient for you. I will provide a summary after the treatment. Hi Wendy, just wanted to tell you I was able to take my first baby steps around 7:00 Tues eve. Quite exciting, even though they were more of a lurch than a walk. It's even better today. Thank you for your energy work! Distance healing is a wonderful way to heal a traumatized animal or pet that is having either emotional or physical problems. An example is a despondent cat who has lost its human parent, and wouldn't come out from under the bed. A little distance healing restored his will to live, and he came out to eat and drink in one afternoon, and the next day he was playing and sitting in the window. It will help any animal that had been abused and does not allow people to get close to him. Daily distance energy healing sessions will neutralize the fear issues and gradually allow trust and human contact in a gentle non-invasive or threatening way. I had great success with a small dog who had many behavioral and aggression issues resulting from having been abused as a puppy. He was very intrigued as he watched me perform a distance healing on a family (group healing) consisting of a woman, her dog and cat. When I finished, he went to his hiding spot under the bed. A few hours later, I decided to send healing to this little dog. I did not call his name or ask him to be present as I started the session. He knew right away what I was doing and ran into the living room and stood right in the spot where I was working. He actually turned around to facilitate the energy reaching his other side. When it got a little intense for him emotionally, he hid under the coffee table. I asked for guidance and we continued the session while he was under the table. He still accepted the healing but it was confusing to him. He then got up on his pillow and watched me continue to work, but he never objected. Not long before our sessions, this dog would not let me near him. He would growl and snap at my hand. After his healing sessions, he became transformed into a much more loveable, trusting and approachable dog. Please contact Wendy to schedule a Distance Healing Consultation. Sessions are available for you, your loved ones, your pet or for any animal, no matter how large or small. On-site Energy Healing sessions are available by appointment in Albuquerque or other New Mexico locations. Distance healing is the divinely guided transmission of what we call "universal life force energy" that is being sent to a person, pet, animal, or to a group of people, places and situations from a distance through a medium. Distance energy healing is an intuitive art. Wendy is a well practiced and disciplined distance healer who gets equally good or even better results by sending healing energy from a distance as in person, since the conventional barriers and bias's are not in the way of healing. Of course, all healing sessions are done with the understanding that the healing is for the highest good of all concerned. When would distance healing therapy be beneficial? Whenever an individual is unable to come to a personal private session, and is in need of any kind of healing (physical, emotional, mental, spiritual) or is in need of creating positive change in their lives then a distance healing session is a wonderful gift to give them, or for yourself. Distance healing is perfect for any one who is far away and needs healing now. Distance healing is a wonderful way to patch broken friendships, heal relationships by releasing injuries and fostering forgiveness, love, understanding and compassion. It opens the door to reestablishing contact, mending and creating a positive, new foundation. Distance healing is a wonderful gift to help someone who is homebound. It is wonderful for anyone who is in the hospital. It will facilitate healing and recovery after surgery. It will calm and soothe anyone in hospice care or critical care. It will calm and release stress for hospitalized children (as well as adults!). Please Note: If a person or pet is approaching transition, Reiki energy will facilitate healing of the spirit, heal karmic issues and ease the transition to God. Reiki allows the person or animal to let go of the earth and worldly attachments allowing the spirit to go in peace, love and grace with God. It is a gracious gift for anyone living in a nursing home, or care facility. It can help to aleviate boredom, depression, release pain and provide freshness and clarity to their outlook. This is a wonderful way to send healing to a group of special needs children. A group distance healing can also facilitate learning and concentration within any classroom, for all participants. Distance healing can help a troubled child to gently release issues and help them integrate and develop appropriate social skills, learning skills etc. It is a perfect answer to send healing and love to loved ones far away in military service. Distance Inquiry is a means of accessing information about a situation you need answers for. It is not specifically for healing someone or something, rather a means to know more about a situation. An example would be if you applied for a job and you want to know if it is the right workplace or career for you. It is not a means to manipulate an outcome, but just to see more than meetS the eye so to speak. The same applies for an employer who would like to get better insight regarding job applicant. It' could be referred to as "psychic detective" work, but not limited to that. It is just energy that is present at the moment we make the inquiry. The next day the energy might be different surrounding the person or situation, but will still have relevance to the situation. Please contact Wendy to schedule a Distance Consultation. Sessions are available for you, your loved ones, your pet or for any animal, no matter how large or small. 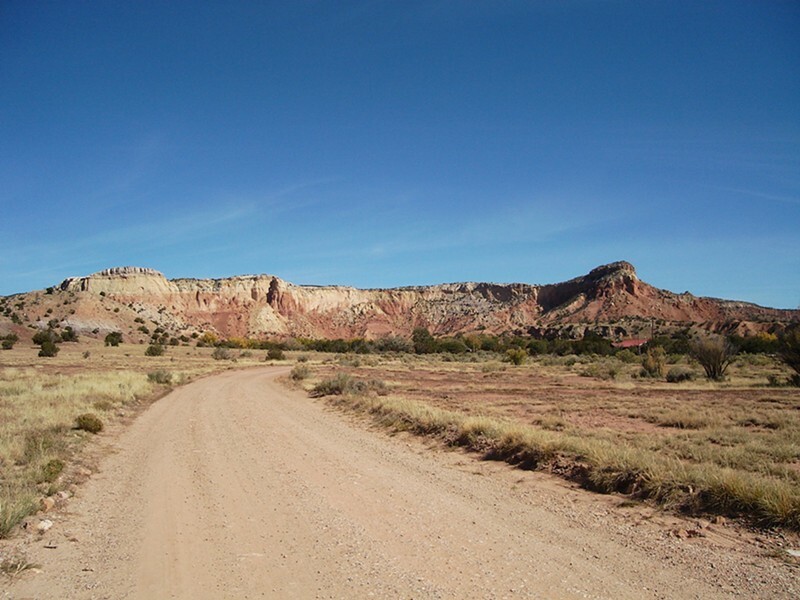 On-site Energy Healing sessions are available by appointment in Albuquerque or other New Mexico locations. Universal Life Force Energy is the energy we are divinely made of and which we live, breathe and heal.